To make up one of our classes, I was given the opportunity to head to Easter Seals in Boston. This organization is designed to spread awareness about the most current forms of assistive technology. They provide hands-on examples that people can test and practice using to see if that product is right for them. They provide classes to teach people about the different resources that are offered. I highly recommend going if possible because they provide such a unique and positive outlook to the world of special needs. 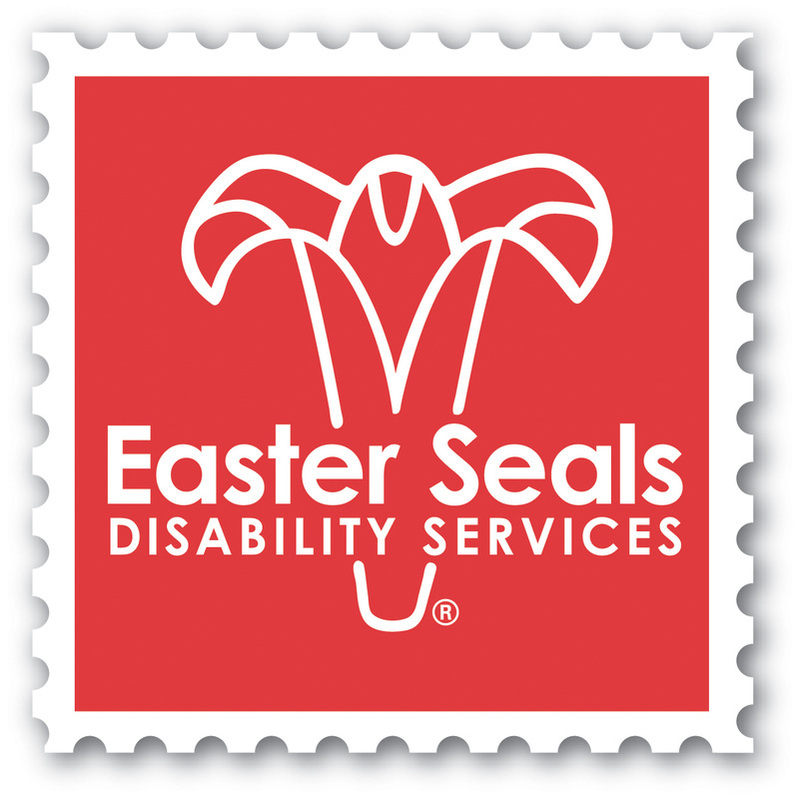 Easter Seals Massachusetts even provides consultations or formal assessments for schools/home/work services. The following videos are people who use the services provided through Easter Seals and their experiences working with the organization. Easter Seals provides services to help children and adults with disabilities and/or special needs as well as support to their families. They have been helping families for nearly 100 years. Today, Easter Seals assists more than one million individuals and their families annually at more than 550 Easter Seals service sites across the country. Each center provides top-quality, innovative services tailored to meet the specific needs of the people we serve. Easter Seals is committed to caring for children and adults with physical and mental disabilities and special needs resulting from any cause -- whether diagnosed at birth or incurred through disease, accidental injury or the aging process. Originally founded in 1944, Easter Seals Massachusetts was created to provide an equal opportunity for every person. In 1988, Easter Seals recognized the potential benefits that technology holds for children and adults with disabilities. Its assistive technology program began with a few donated computers and one specialist. Today, the program has more than 20 specialists and utilizes a wide array of software, hardware and adaptive devices. Easter Seals is now a national leader in using technology to expand independence for people with disabilities at home, in school and in the workplace. They must have severe physical, mental or sensory disability or disabilities. Assistive technology services and training must be able to improve their ability to function or continue functioning in their family and the community. They must have an Independent Living Goal tha requires assistive technology and be unable to meet that goal without it. Individuals must not have vocational, educational or work goals that would make them eligible for assistive technology services through MRC or Massachusetts Commission for the Blind Vocational Rehabilitation programs. If they are age 22 or younger, individuals must not have an educational goal that would make them eligible to receive assistive technology services through their school department. In addition, individuals must not be eligible to receive assistive technology services from other Executive Office of Health and Human Services agencies, such as the Massachusetts Commission for the Blind, the Department of Mental Health, the Department of Mental Retardation or the Massachusetts Commission for the Deaf and Hard of Hearing. One of the highly qualified instructors explaining a new program to Jean, a woman unable to use her hands. This program will allow her to search the internet, read books and run applications on her computer. Driving tools provided through the Massachusetts Assistive Technology Loan Program, a program created to assist people with disabilities to try new resources before purchasing them. 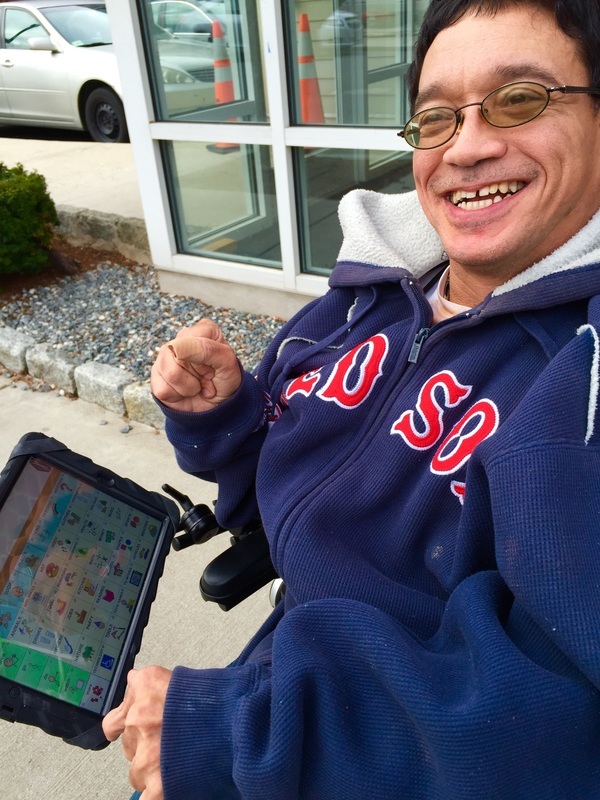 Anselmo was using a children's picture book to communicate until Easter Seals Speech-Language Pathologist Samantha Oxton worked with his Easter Seals occupational therapist and physical therapist to set up a Bluetooth speaker and a mount to attach the iPad to Anselmo’s wheelchair.